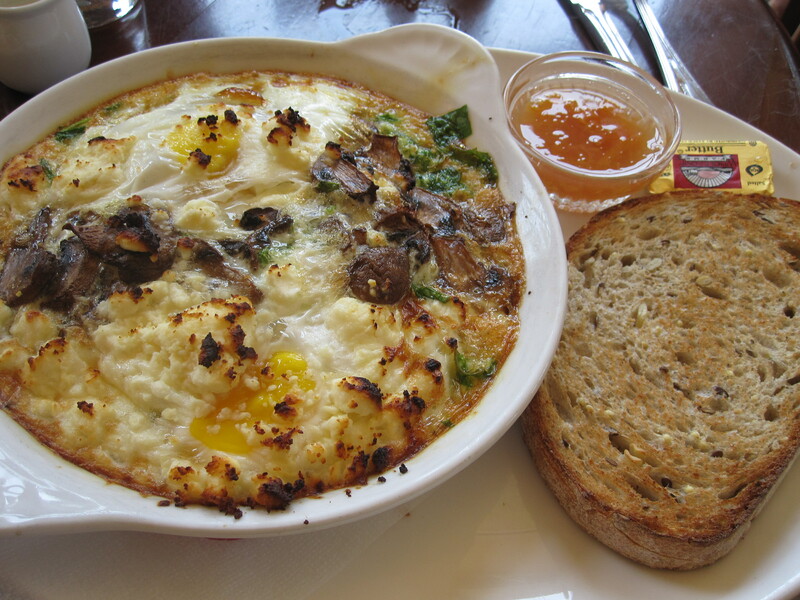 Might the baked eggs at Julius Meinl be the perfect brunch dish? I already loved their European pastries, amazing teas and Viennese coffee service (served on a tray with a small glass of water and a cookie), but I had no idea they whipped up lovely ceramic-skillet baked concoctions like two eggs with smoked salmon, cream cheese and dill, and potato pancake, caramelized onion, aged Parmesan and truffle oil, and the one that had me at feta; two eggs with spinach, mushrooms and, well, feta. So much tastier and more original than a basic omelette, perfectly golden brown and crispy on top, and served with toast and preserves. 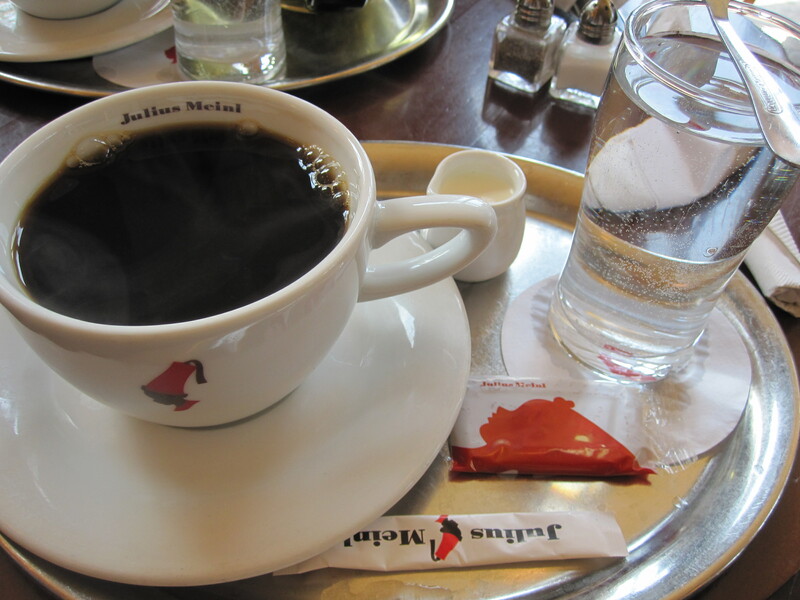 Like I said, the perfect brunch… Julius Meinl, 3601 N. Southport Ave., 4363 N. Lincoln Ave.
And the coffee service, although two on one small cafe table can be cluttered, I still love the presentation details, and cookie, duh. I know..doesn’t it? It was so delish…I want to go back and try them all. Let me know about your cupcake conquest…hopefully I can make it!